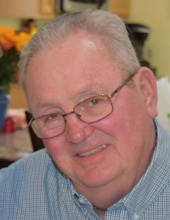 David Michael Grainger, Sr., 69, of LaGrange, passed away October 12, 2018. David was born in Atlanta, GA to Orrie and Margaret Grainger. He served his country in the US Army during the Vietnam War. He worked as a Senior Auditor for the US Army, retiring as a GS12. David loved camping and fishing with his grandchildren. He was a supporter of Trout Unlimited. David is survived by his wife of 49 years, Sharon; son, David Michael (Yasna) Grainger, Jr.; grandchildren, Andrew Grainger and Alexander Grainger; parents, Orrie and Margaret Grainger; sister, Barbara Blake; brother, Ronald (Deneen) Grainger; aunts, uncles, cousins, nieces, and nephews. A memorial service will be held Friday, October 19, 2018 at 11:00 AM at Fayetteville First United Methodist Church, with Rev. John Barnes officiating. The family will receive friends beginning at 10:00 AM prior to the service at the church. In lieu of flowers, the family requests donations be made to Southern Grace Hospice Foundation, 384 Racetrack Road, McDonough, GA 30252. To send flowers or a remembrance gift to the family of David Michael Grainger, please visit our Tribute Store. "Email Address" would like to share the life celebration of David Michael Grainger. Click on the "link" to go to share a favorite memory or leave a condolence message for the family.